The Coastal Cubs 14U fall program has begun their team practices and games. The Coastal Cubs are coached by Chris Joyce (assistant Coach SBCC), Gabe Speier (current MiLB player Kansas City Royals) and Michael Jacobson (current SBCC pitcher). The Cubs practice at the home field of the SBCC Vaqueros and play their home games at Goleta Valley Little League Junior Field. 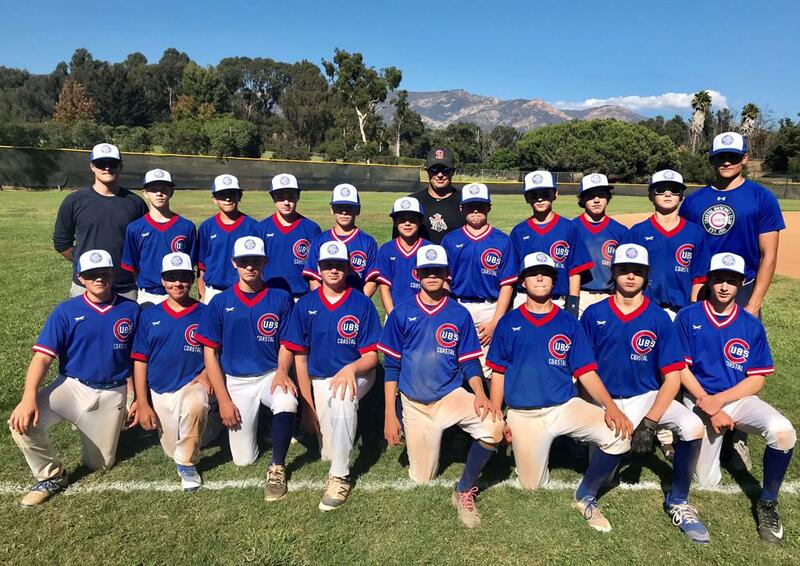 The roster of the Coastal Cubs are comprised of 7th and 8th graders from the Santa Barbara and Santa Ynez greater area. The program and coaches emphasize skill development in preparation for the next level.